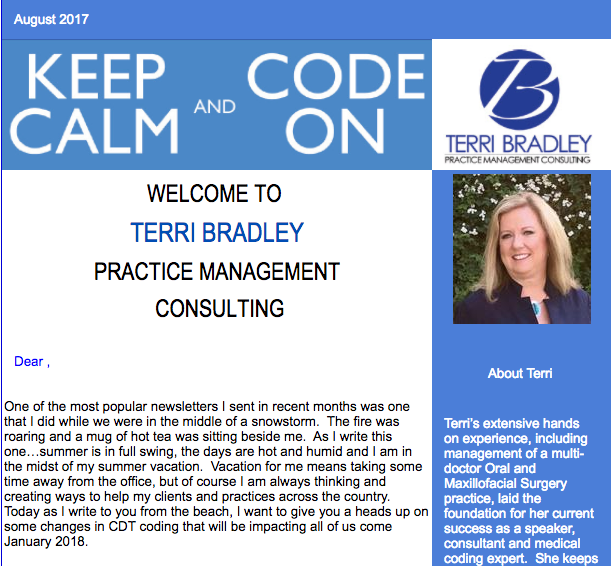 TO SIGN UP FOR OUR NEWSLETTER CLICK HERE: YES, I WANT TO LEARN MORE! 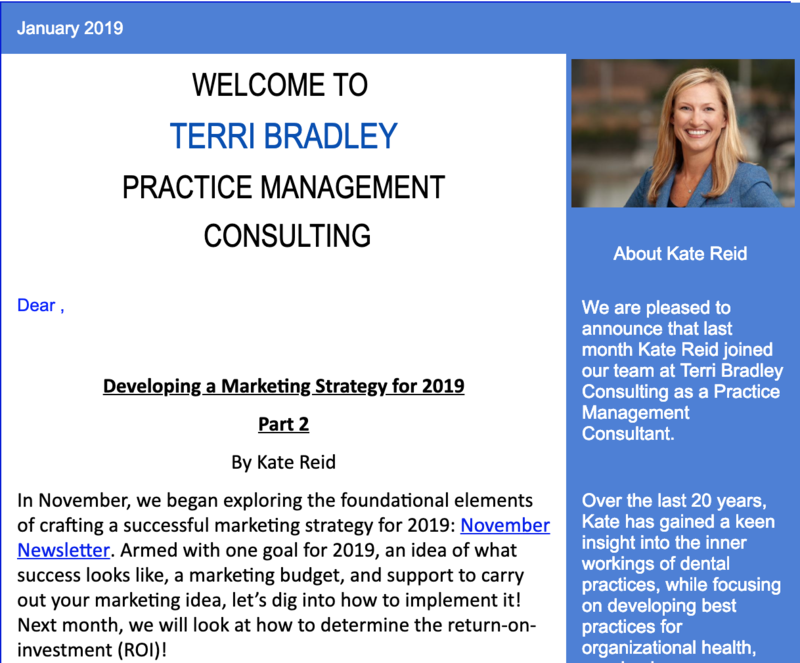 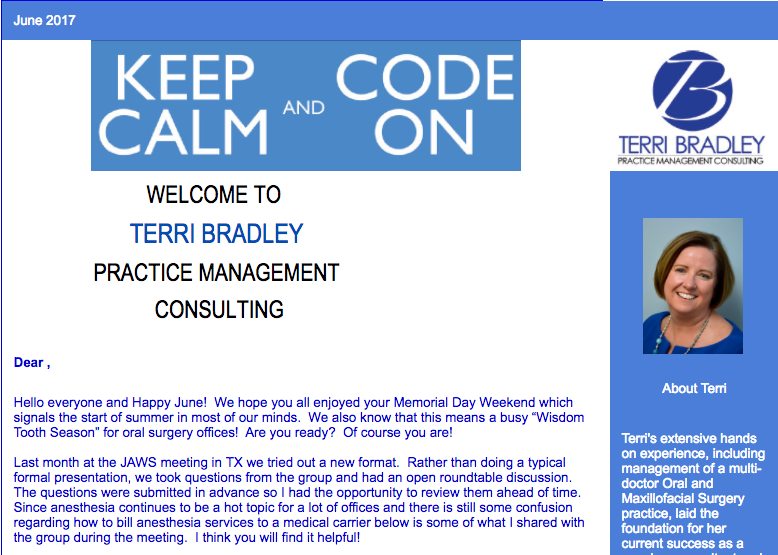 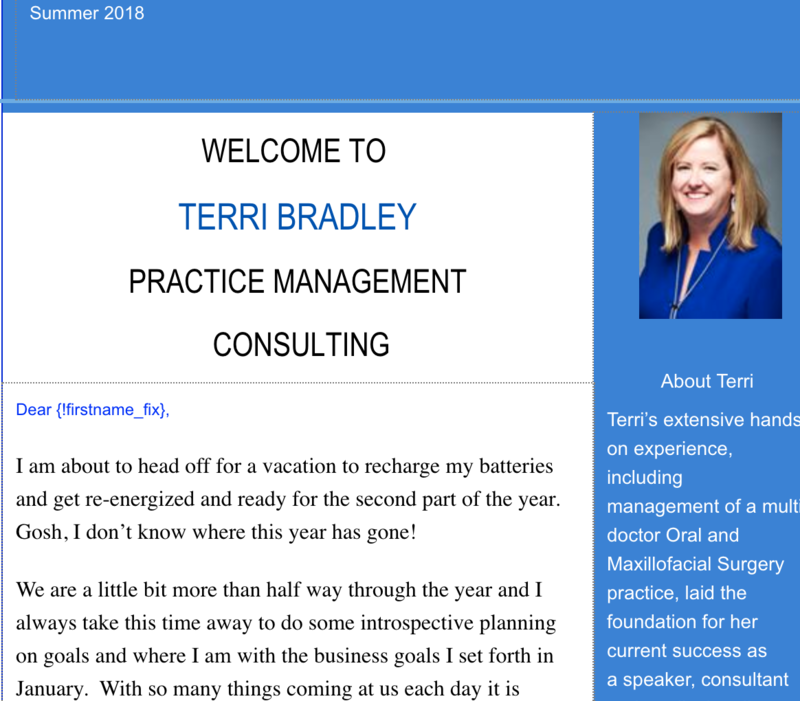 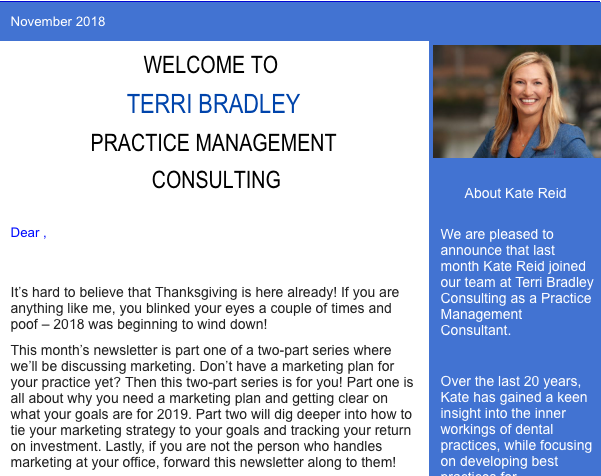 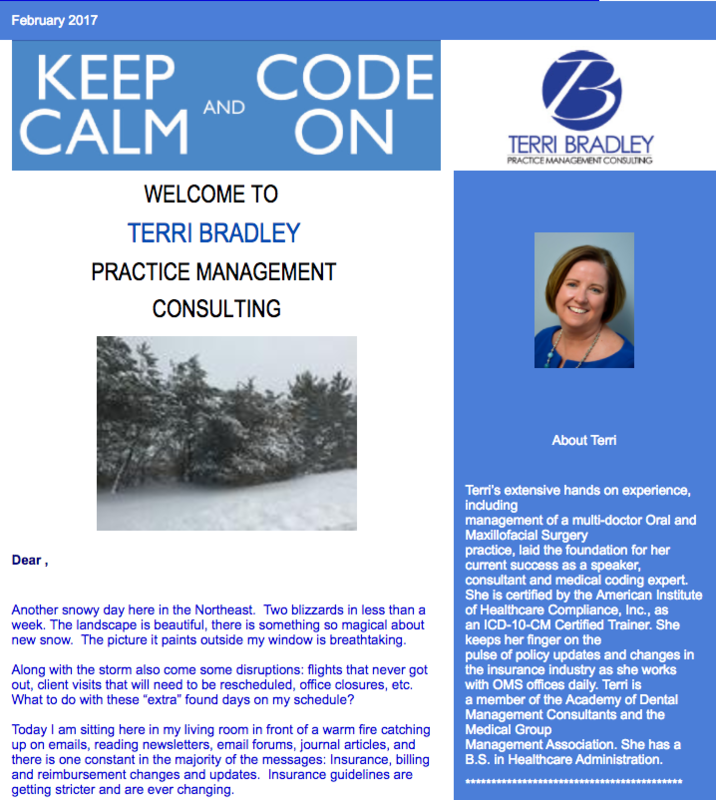 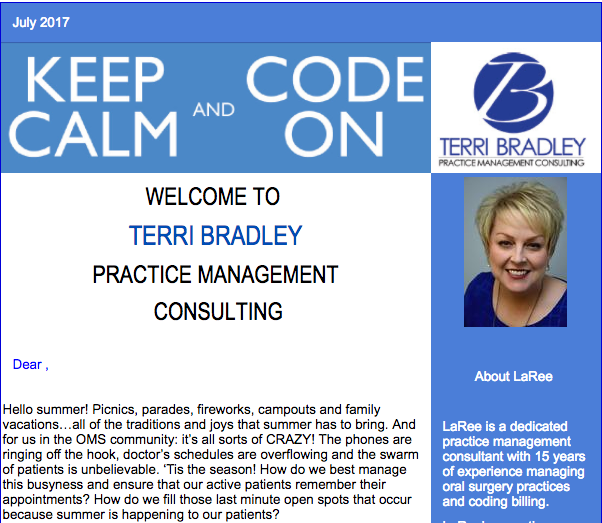 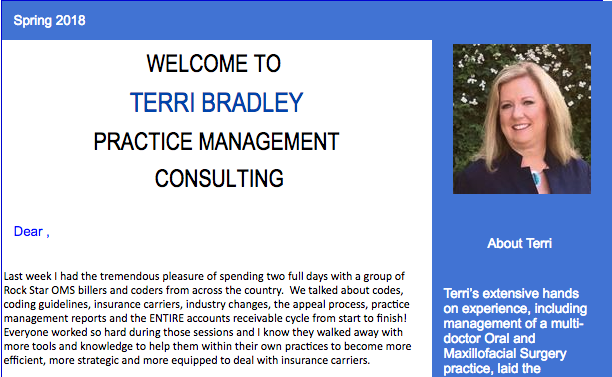 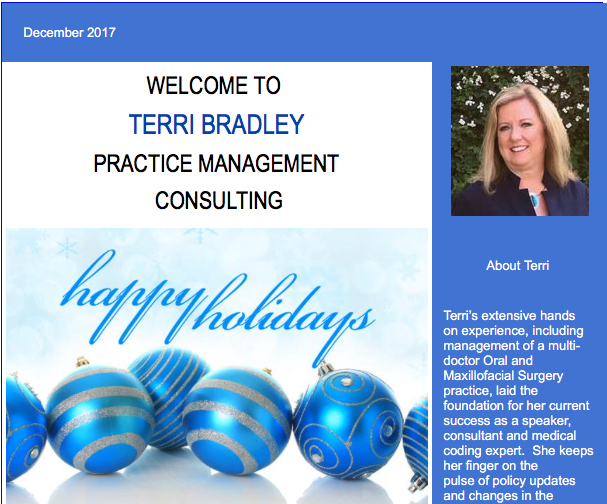 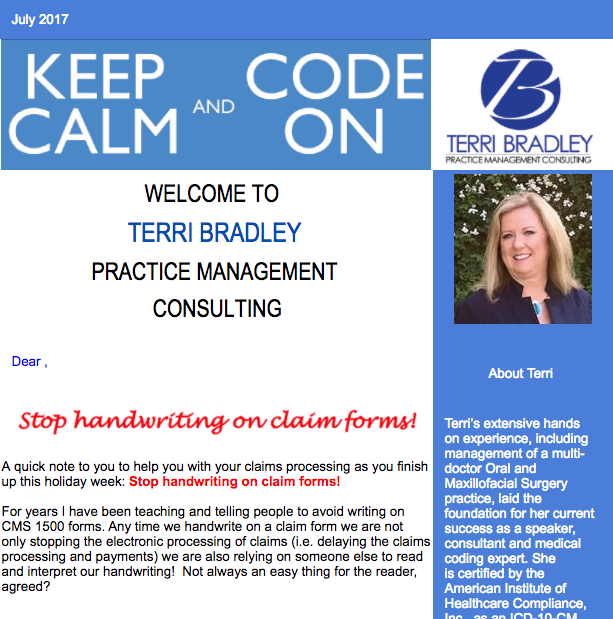 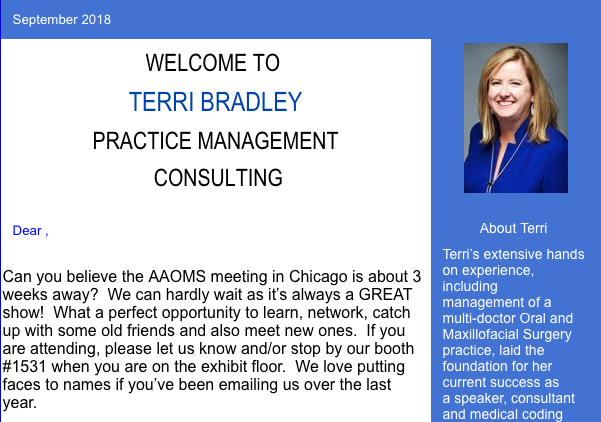 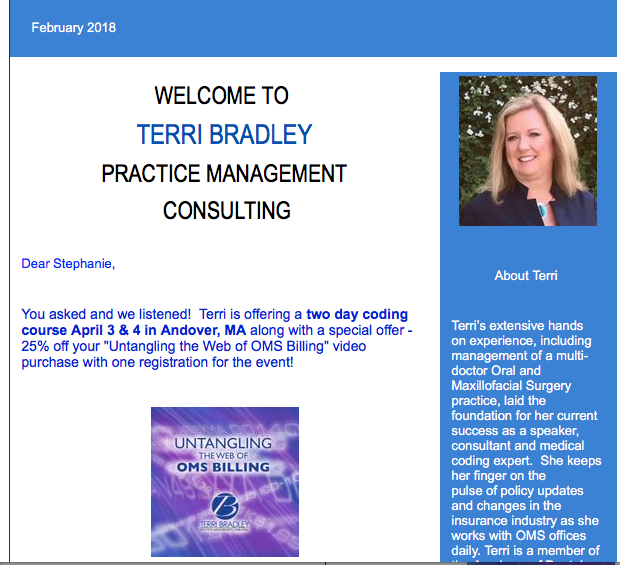 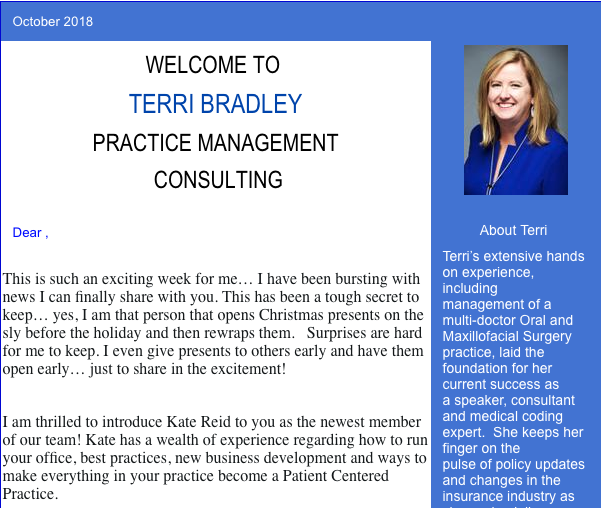 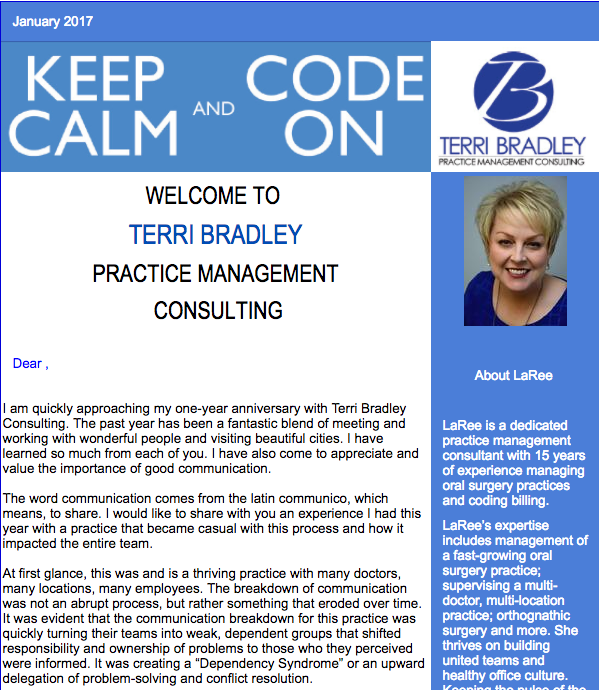 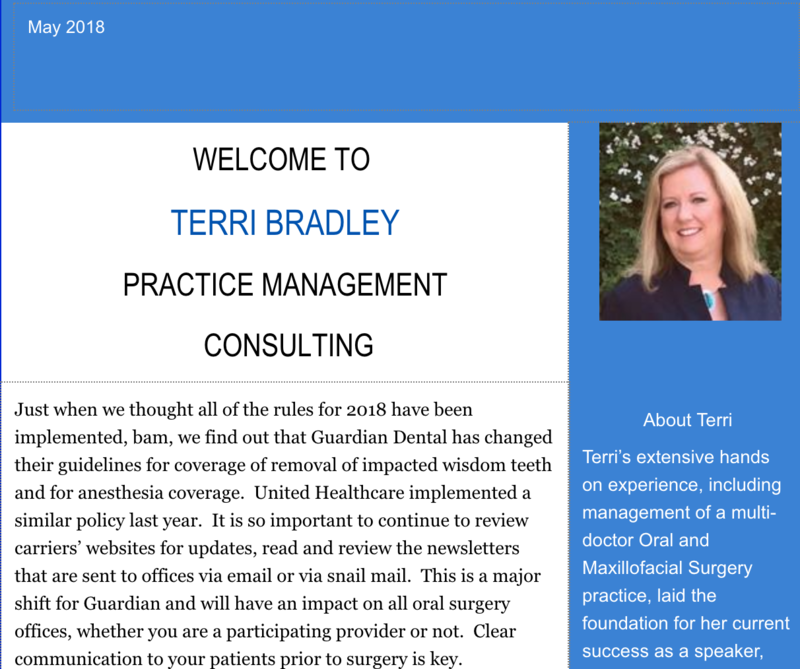 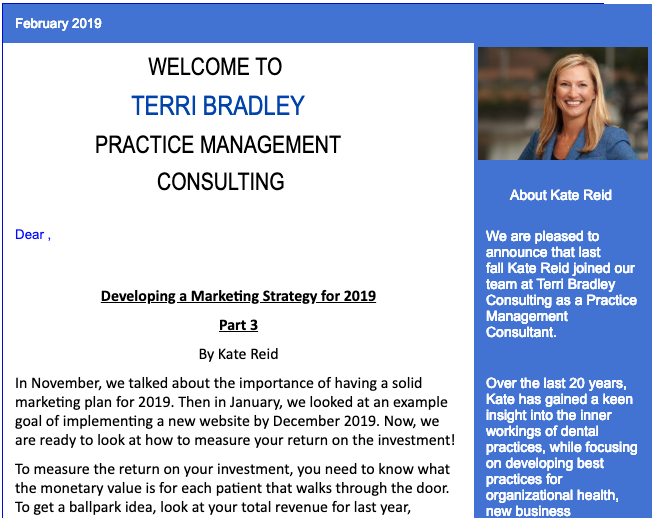 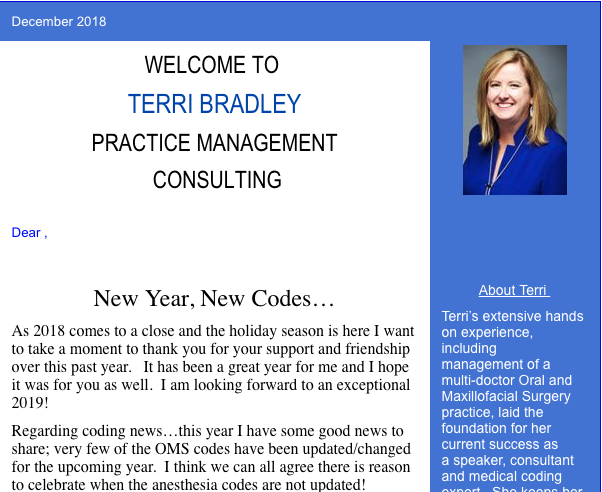 Terri Bradley Consulting - StopWriting on Claim Forms! 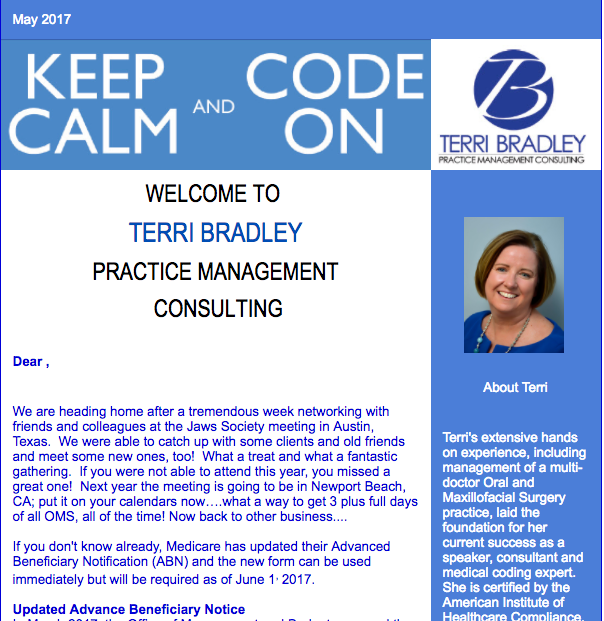 View more of our newsletters here.